A few years back, I decided that one way to encourage a love of reading in my kids as well as be able to read some childrens’ books I’d always wanted to read but would never put away a grown up book to prioritize (the idea!) I would start reading to the kids each night. This became a favorite part of our evening for quite a while… The kids could color, cuddle up or even play quietly (in the case of the neverendingly energetic boy – I mean honestly, it’s mind-blowing how this kid moves NONSTOP) as long as they were engaging. We really enjoyed this time together and I would highly recommend starting this with your kids! Below are some suggestions to get you started. If you already have this practice with your kids, then maybe these are some books you haven’t thought of checking out and I hope it helps you. I honestly just grabbed this book because the cover was so cute. The story is original, clever and tongue-in-cheek much of the time, and some of the humor went over my kids’ heads, but they enjoyed it nonetheless. 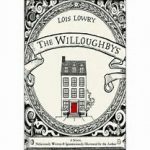 The Willoughbys is the story of four children who are abandoned by their horrible, selfish parents, taken care of by a nanny reminiscent of a modern-day, more carefree Mary Poppins, eventually taken in by a rich and lonely, candy-magnate. There are plenty of hysterical characters and scenes to make your children laugh, and surprisingly hilarious moments for you, the grown-up reader as well. The story does have a redemptive, happy ending. I would say that elementary school age is preferable for this one. We all know the story, but the book is just so enjoyable. Roald Dahl is truly a genius storyteller. This was the first book we ever read together, so it was that much more special. 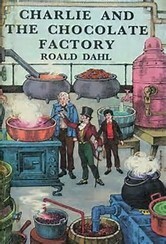 The kids loved the cast of crazy characters and of course, the descriptions of the chocolate factory and all its magic. There were a few parts where my son, who was only 3 or 4 at the time, would zone out, but overall he loved it just as much as his big sister. I will give you a little warning… We read Charlie and the Glass Elevator after this one, and it just didn’t hold the same magic for us. In fact, it was quite a letdown after such a fun reading experience. This one was great for bot h the kids (only 2 at the time). I believe we read it right after the Charlie books (see above). My boy was 3 or 4 and our oldest girl was 6 or 7, and this one held both their attention. 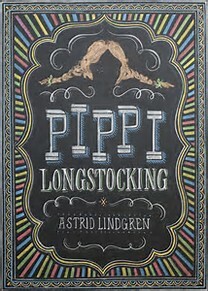 Each chapter is a separate little story, and Pippi’s so entertaining! Living alone, standing up to grownups, taking care of herself, staying up all hours of the night, having a pet horse and monkey, tons of gold a buccaneer for a father and so many adventures! Her two little neighbor friends, Tommy and Annika, are enraptured by her, and rightly so. I really enjoyed reading this to the kids as much as they enjoyed listening. Remembering now that we have the sequel, I may have just figured out how we will kick off our family reading for the school year! We read this when the kids were a bit older. My daughter was probably 9 when we started and 10 when we finished. This one took us quite a bit longer to read, and there were parts where my 5 year old son was completely uninterested, and parts where he was enthralled. The trolls, goblins and hobbits drew his attention until the language got a little tough for him to understand. There were parts where I had to go back and explain what was happening to him. 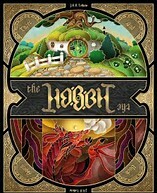 My daughter, however, loved it from beginning to end. In fact, by the end, the both of us were in tears, and when we finally watched the movies as a family, she was horrified at the vast amounts of departure they took from the book. She’s quite the purist. If you read with your kids and have some recommendations for us, let me know! Of course, I always love a great book suggestion! THANK YOU! Last year we only read one book aloud – HP 1 (you know…) and we got about halfway through book 2, but we’ve been a little sluggish since then. I blame my thyroid and pregnancy. (Thyroid I just always throw out for blame anytime, well… anything). But I’m GLAD you haven’t read any of these! I think you guys would love the Willoughbys. It’s so quirky and hilarious.